Just like Lynsi Torres, the 36 year old owner of In-N-Out burger, Meyer Luskin is an under-the-radar billionaire. You wont see Meyer in Forbes magazine or on TV bragging about his wealth. In fact, the only time Meyer has ever really spoken publicly was in 2011 after he donated $100 million to his alma mater UCLA. Luskin's gift was one of the largest private donations a university has ever received. 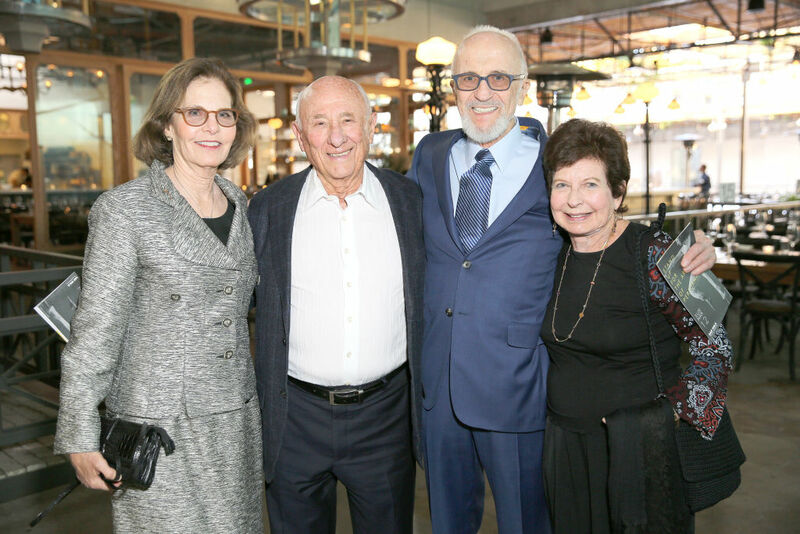 In return, UCLA established the "Meyer And Renee Luskin School Of Public Affairs" and the "Luskin Center for Innovation". The school also plans to name their newest residence hall/conference center after the generous couple. Giving to UCLA was especially important to Meyer for three reasons: 1) As a student in the 1940s, Meyer wouldn't have been able to afford the tuition without a $30 dollar academic scholarship. 2) He met his wife of more than 60 years, Renee, while attending UCLA. and 3) in his own words: "The multidisciplinary education I received at UCLA has helped me immeasurably in business, whether it's organizational, management or philosophical issues, and I am eternally grateful". OK, so we've established that Meyer Luskin is a really good guy who loves UCLA, HOW'D HE GET SO RICH??!! Meyer Luskin is the 87 year old owner of Los Angeles-based Scope Industries. Scope Industries is the largest recycler of expired bakery and grain based byproducts in the United States. What does that mean? Let's say you own a bakery. If you don't sell your bread, bagels, pastries etc. within a very specific time frame, they legally have to be discarded. You can't even donate slightly stale bread to a homeless shelter for health and sanitation reasons. The problem is, even mom and pop bakeries tend to produce a fairly large amount of waste that can't just be tossed in a regular trash can. Discard industrial quantities of bakery byproducts is very expensive. So what do they do? That's where Scope comes in. Scope designs and builds industrial waste compactors that are custom installed at the business. After installing the compactors, Scope then removes the waste several times per week. At this point alone, Scope has carved out a nice little installation and recycling business for itself, but they are just getting started. Not only do pay them to haul away your garbage, brilliantly Scope then sells it all to a third party at a huge premium! After Scope removes the expired food, their trucks bring it to one of 12 nationwide processing plants. The stale bagels, bread, tortillas, pizza, pasta, crackers chips and pastries are ground, dried and baked into "Dried Bakery Product". Farmers around the world pay top dollar for Scope's Dried Bakery Product to feed their cows, horses and chickens. But how much money can you make selling cow food? Scope Industries is a private company owned 100% by Meyer Luskin and has annual revenues of over $110 million. Essentially, Scope gets paid to convert someone else's trash into gold. And the best part is, their end consumer (cows, chickens, horses) have a never ending appetite and extremely low taste standards. It's a brilliant business model. Meyer Luskin's story is truly amazing and inspirational. Hopefully, it will inspire you to go out an make a fortune off some random endeavor, like selling bakery garbage to every farmer in the world for a billion dollars!